Check out the awesome cover art for the Marvel's Avengers: Infinity War - The Art of the Movie book by artist Ryan Meinerding. 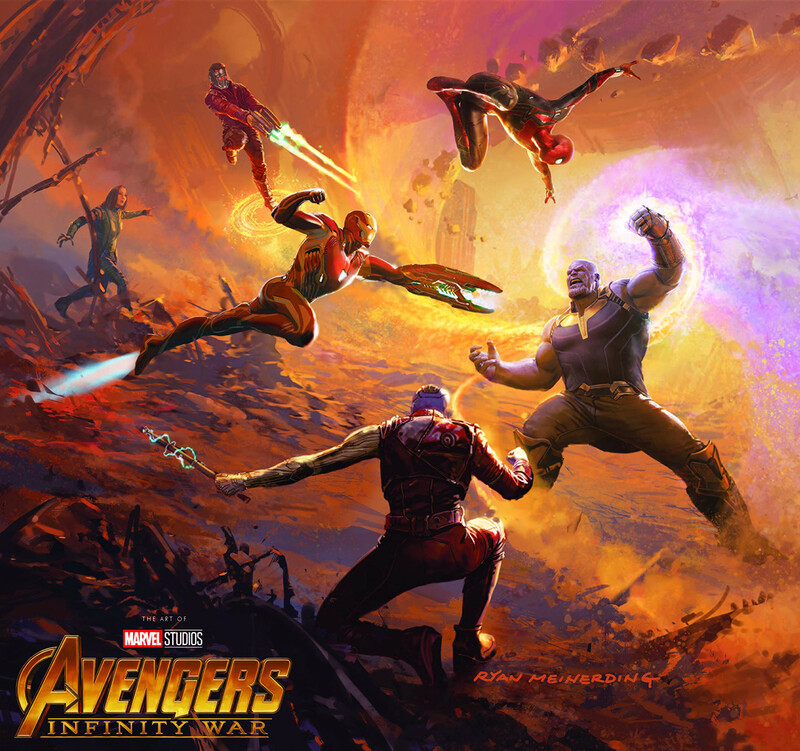 The cover features Thanos battling Mantis, Star-Lord, Spider-Man, Iron Man, Nebula and Titan. The book is currently available for pre-order on Amazon, and becomes available November 6. Filled with exclusive concept art for character, costume and set designs, as well as production stills and in-depth interviews with the filmmakers, Marvel's Avengers: Infi nity War - The Art of the Movie provides exciting insider details about the making of this highly anticipated film.